Party On for the Holidays! Don’t forget that Roku is much more than access to all your favorite TV shows and movies; it can also be the inspiration and centerpiece of your holiday soiree! Do the kids just sit around the TV during Thanksgiving get-togethers? Get them moving with casual games like Angry Birds and have a competition. While they see who can knock down the most little piggies—why not serve some pigs in a blanket? Find some great recipes and tips from the James Beard Award-winning site Chow.com, Food Network or AOL Home for the kids and grown-ups alike. Need a little mingling music to set the mood? Music is the best way to get the party started…and to keep it going. Make the music selection a collaboration by streaming favorite Christmas music on your Roku through a Pandora station or have party guests bring a USB stick with their top hits. Want to display favorite photos from the year for your guests to enjoy? Forget about that digital picture frame; use your Roku for a wireless slideshow of Facebook or Flickr pictures on the big screen! No matter the guest list, Roku is a great tool to enhance your next bash. The new Roku 2 is the smallest, easiest to operate, and most inexpensive streaming media player. Your family can access over 300 channels with something for everyone – from Disney for the kids, HBO GO for mom to MLB for dad. Beyond movies and TV shows, Roku is also great for music (Pandora), picture slideshows (Facebook), news content, recipes and more. Popular causal games like Angry Birds, Pac-Man and Texas Hold’em are even available for you to play on your family’s big screen. 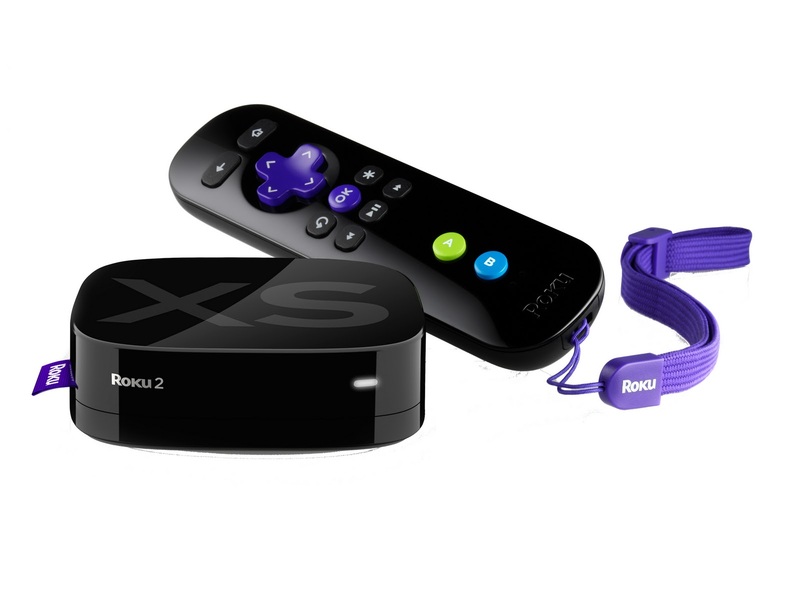 WIN: 24/7 MOMS and Roku are giving away a Roku 2 XS unit. * We received a complimentary Roku 2 XS Unit for review no financial compensation was received. FB follower - liz t. n.
I like 24/7 moms on FB! I am already a subscriber!!! I am a subscriber at this email. I'm a subscriber. Thanks for the chance. I Follow 24/7 MOMS on Twitter.